Randy Sprick has worked as a paraprofessional, a teacher, and a teacher trainer at the elementary and secondary levels. Author of widely read books on behavior and classroom management, Dr. Sprick is director of Safe & Civil Schools, a consulting company that provides professional development throughout the United States for teachers, administrators, and other school personnel. He and colleagues at Safe & Civil Schools work with numerous large and small school districts on longitudinal projects to improve student behavior and motivation. Dr. Sprick was the recipient of the 2007 Council for Exceptional Children (CEC) Wallin Lifetime Achievement Award. His publications include Leadership in Behavior Support, CHAMPS: A Proactive and Positive Approach to Classroom Management, Discipline in the Secondary Classroom, Foundations: A Proactive and Positive Behavior Support System, Teacher's Encyclopedia of Behavior Management, START on Time!, and Coaching Classroom Management. 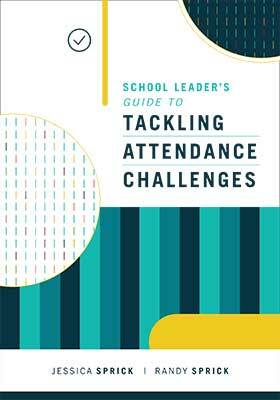 With these proven strategies and tools, school leaders learn to use a multitiered approach to improving K–12 student attendance.